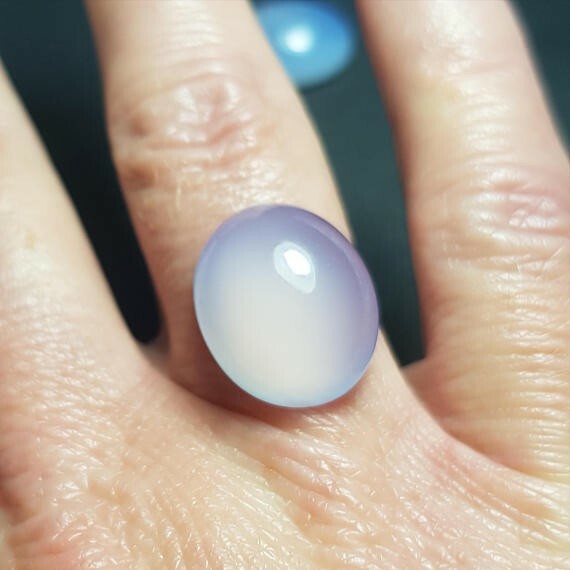 Chalcedony is a cryptocrystalline form of silica, composed of very fine intergrowths of the minerals quartz and moganite. 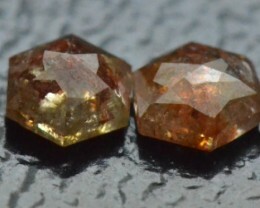 These are both silica minerals, but the difference is that quartz has a trigonal crystal structure, while moganite is monoclinic. 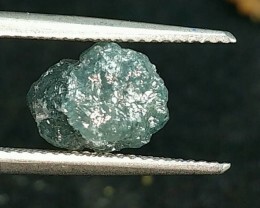 Chalcedony’s standard formula is SiO2 (silicon dioxide). 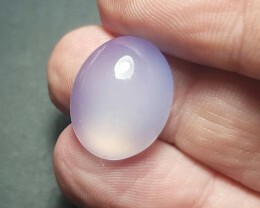 Chalcedony has a waxy luster; it may be semi transparent or translucent. 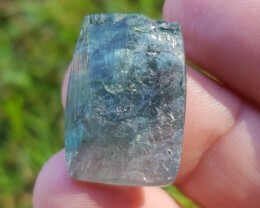 It comes in a large range of colors with the most valuable and sought after being a shade of purplish blue or ‘duck egg blue’as some people call it. But those most commonly seen are white to gray, gray-blue or a shade of brown ranging from pale to nearly black. 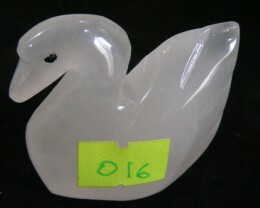 Chalcedony became very popular in jewellery in the post art deco period of the 1930’s to the 1960’s. 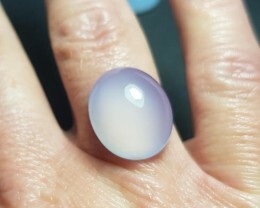 Some beautiful jewellery designs with gem grade blue purple chalcedony, can be seen in museums and exhibitions. 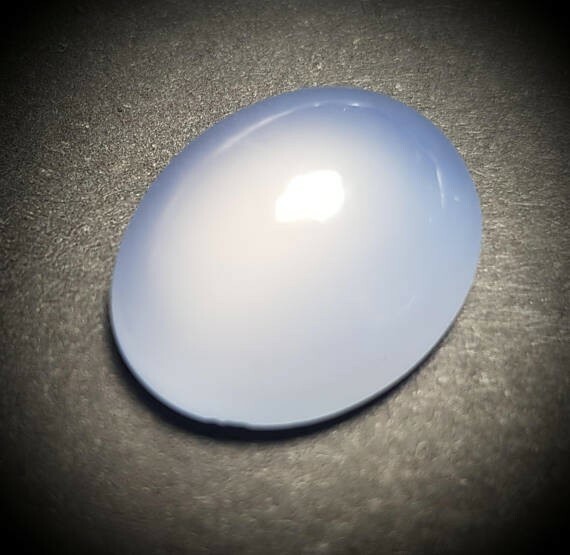 The quality of the Blue Chalcedony is judged by the depth of blue color in the stone. 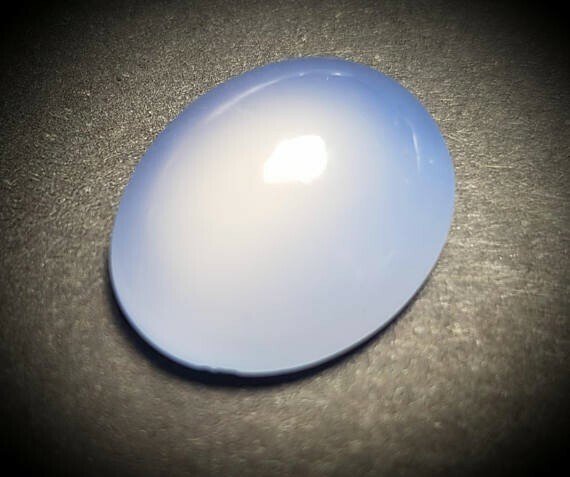 The color of the gemstone also depends on the place of its origin, for example the Blue Chalcedony from California and Nevada is moderately grayish blue. Blue Chalcedony from Namibia is called African Blue. 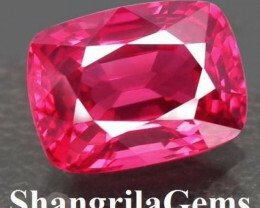 Strong color saturation and high degree of translucency are the other factors that determine the price of the stone. 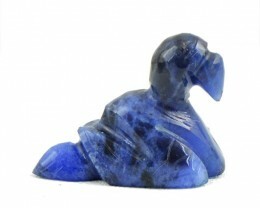 Agates, aventurine, carnelian, jasper and chrysophrase are all examples of the chalcedony group of stones. Blue Chalcedony also comes from Turkey, Indonesia, and the West Indies. 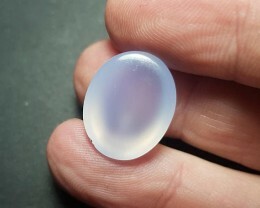 Chalcedony promotes humanity, togetherness and good will. 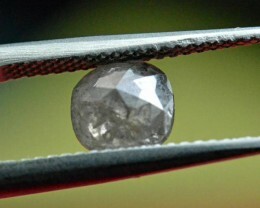 It absorbs negative energy. It brings the mind, body and spirit together. 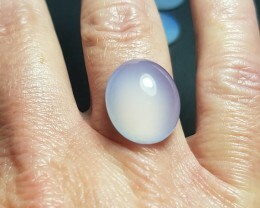 Chalcedony encourages benevolence and generosity; it alleviates hostility and transforms melancholy into joy. 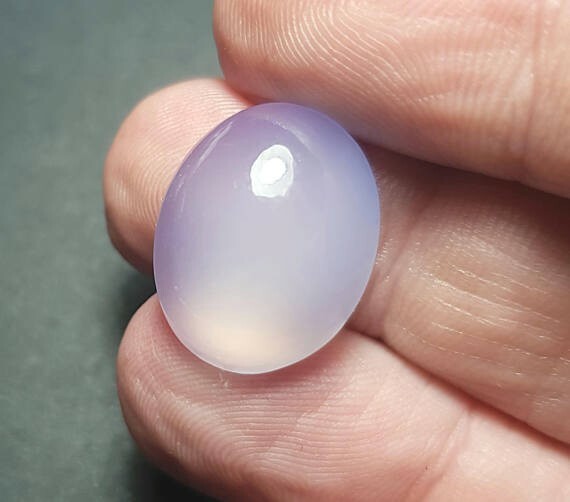 Chalcedony eases low self-esteem. 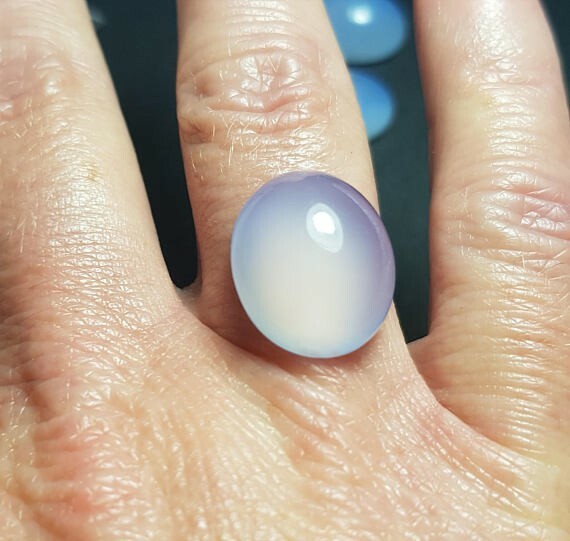 Chalcedony lessens the effects of dementia and senility and increases both physical and mental energy. It heals the eyes, gallbladder, bones, spleen, blood and circulatory system. 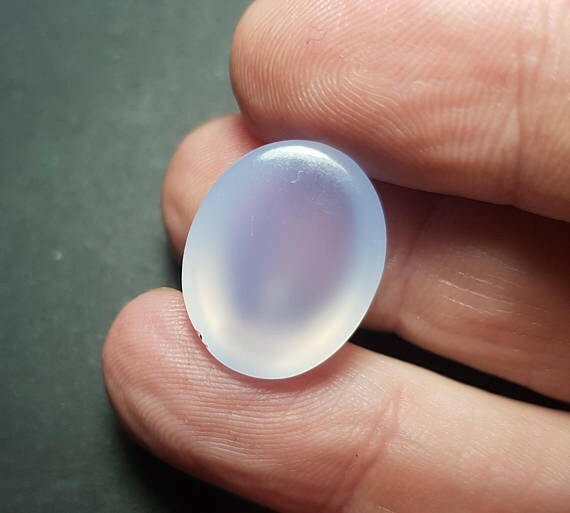 Blue Chalcedony, specifically is a throat chakra stone. 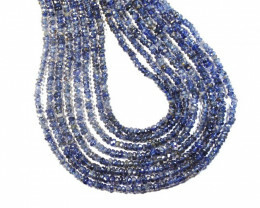 It promotes mental flexibility and verbal fluency. 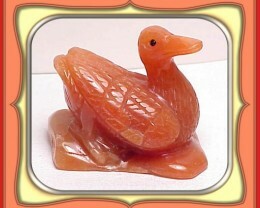 It stimulates the ability to learn new languages and improves memory. It enhances the immune system. 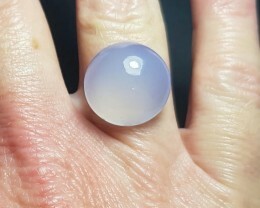 Blue Chalcedony lowers temperature and blood pressure. It heals the lungs of the effects of smoking.